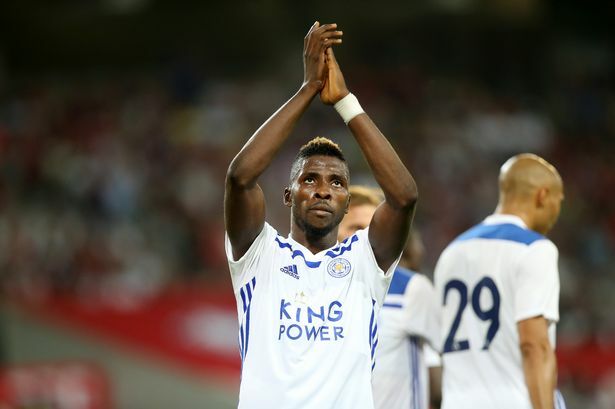 Super Eagles forward Kelechi Iheanacho continued his impressive form against hosts Lille on Saturday to help Premier League side Leicester City end their preseason schedule with victory at the Stade Pierre-Mauroy. The 21-year-old netted a brace either side of halftime to lead the Foxes to a comeback 2-1 win over the French Ligue 1 outfit in their last game before the start of the new league season. Iheanacho cancelled out Lebo Mothiba’s opener in the first half before he struck the winning goal after the halftime interval. The brace against manager Claude Puel’s former team took his preseason tally to four goals in three games ahead of the league opener against Manchester United on Friday.